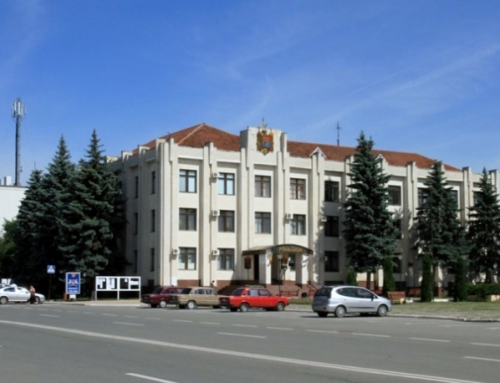 Szada is a small town, with a population of about 5000, located 25 km from Budapest, the capital of Hungary. The most important local activity has been agriculture for centuries, with a twist towards vine growing in the last years. 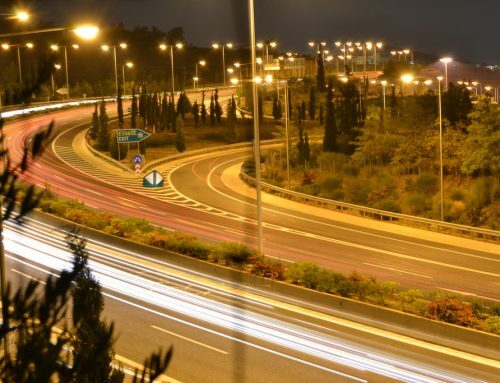 But it was not the history, nor the local tourism potential that have generated the interested for a LoRa™ street lighting management trial implementation here. 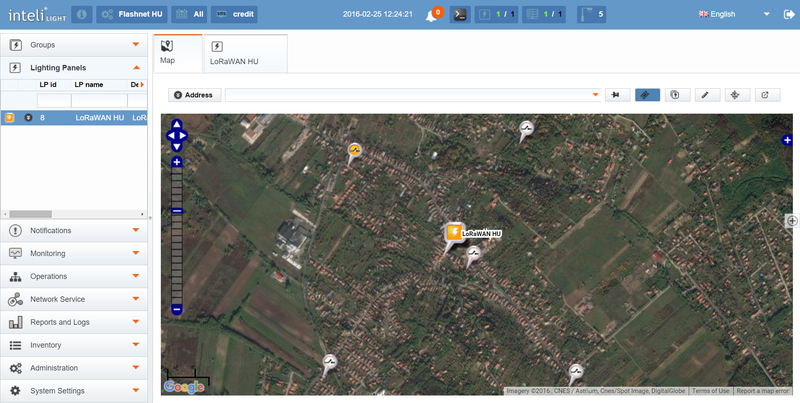 Thanks to its proximity to Budapest, Szada was considered a very convenient testing ground for the inteliLIGHT® streetlight management solution and LoRaWAN™ network capabilities evaluation. Easily accessible and with a lower citizen impact in case of any malfunction, this pilot project is an important step before engaging larger projects. In order to achieve an appropriate mix of capabilities for this implementation, the entire project involved 3 companies: ELMÛ-ÉMÁSZ Group (one of Hungary’s largest DSO), T-Systems Hungary (a subsidiary of Magyar Telekom) and Flashnet. The first project requirements were limited to ON/OFF switching and electric parameters monitoring at 4 lighting panels. 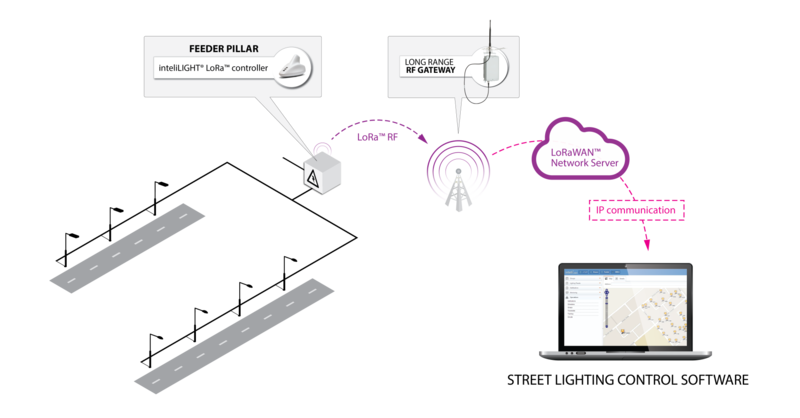 As no LoRaWAN™ network was available locally, the deployment had to include installing and setting up the entire LoRa™ system from scratch, starting with a Kerlink gateway, inteliLIGHT® controllers, LoRaWAN™ network management server and the inteliLIGHT CMS application software. Following the system functionality and reliability confirmation early in 2016, there is the possibility to upgrade all the lighting panels with LoRaWAN™ compatible lighting panel monitoring and controlling units, to provide detailed information and optimization for the functional and electrical parameters of the street lighting grid. 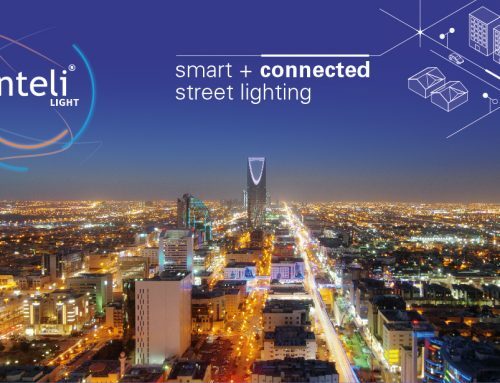 Also, inteliLIGHT®’s open build will allow the future integration and installation of a sensor network (eg. environmental, weather etc.) and other smart city applications. 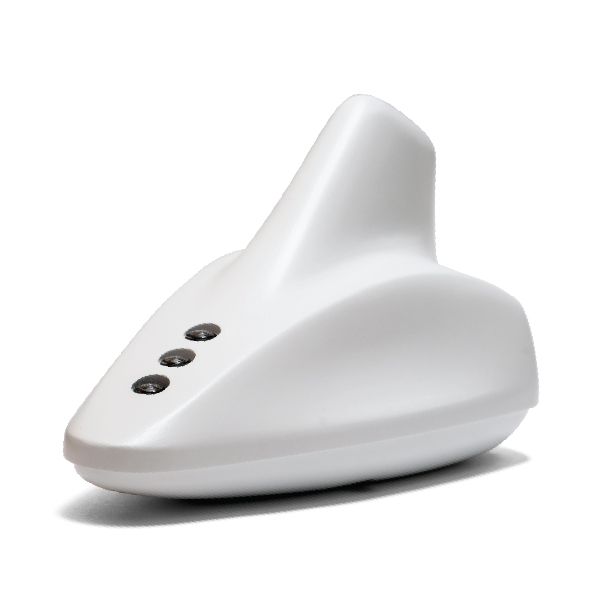 LoRa™ is a long range, low power radio frequency communication technology that allows unprecedented fast and cost-efficient streetlight control systems deployment and operation over large geographical areas. Compared to classic PLC and Mesh RF/GPRS communication technologies, LoRaWAN™ compatible control systems can cost-efficiently manage, with only one RF base station, up to 20.000 streetlight controllers or other IoT/M2M applications in a range of up to 15 km (depending on urban density and specific communication bandwidth requirements). 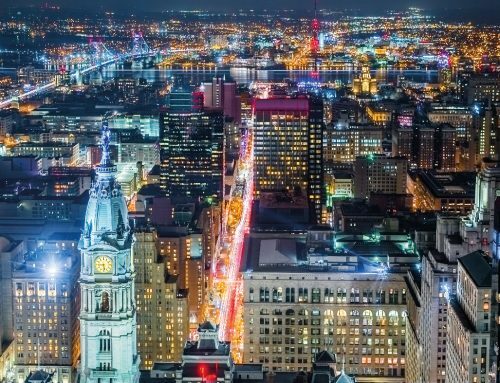 Practically, you can have a functioning streetlight control system in weeks, with no civil works and a minimum amount of deployment effort. inteliLIGHT® LoRa™ FRE-220 street lighting controller, with a limited range of functionalities: adapted for on/off feeder pillar remote operation rather than individual fixture control. The actual field deployment was performed in December 2015 and took only three days since the hardware delivery (hardware installation and communication setup), proving the system’s plug-and play and extremely fast deployment capabilities. The LoRaWAN™ gateway was installed in the tower of the mayor’s office building, one of the tallest buildings available (to provide the best LoRa™ signal coverage). In this first stage of the project, inteliLIGHT® LoRa™ controllers were installed in 4 of the 19 feeder pillars in Szada. The last step of the implementation was establishing communication between the controllers and the base station (Class C bidirectional LoRaWAN™), then between the base station and the inteliLIGHT® NMS (GPRS). The system trials started immediately after the communication was established and encountered no significant difficulties. All the deterrents were successfully surpassed and the system has been functioning as expected for the last two months, according to a predefined lighting schedule. “We are pleased that the system performs as advertised after almost two months of continuous operation and we were really impressed by how quickly we were able to install it. Of course, this was just the first step of the implementationand we are looking forward to continue and test the full system functionality as soon as possible.” Jambor Zsolt, T-Systems Project Manager.